SASO children’s concerts both sold out! Heavy demand for advance tickets mean that both SASO children’s concerts on Sunday November 6th have sold out. We look forward to seeing our capacity audiences on the day and apologise to anyone that was still hoping to buy tickets. Little monsters, princesses, superheroes and witches are invited to wear fancy dress for musical fun and mayhem on Sunday 6 November when St Albans Symphony Orchestra’s perform their popular concerts for children (2pm & 3.30pm, St Saviour’s Church, Sandpit Lane, St Albans). 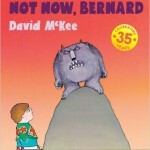 The featured work this year is Not Now Bernard! – a musical setting of David McKee’s classic storybook. 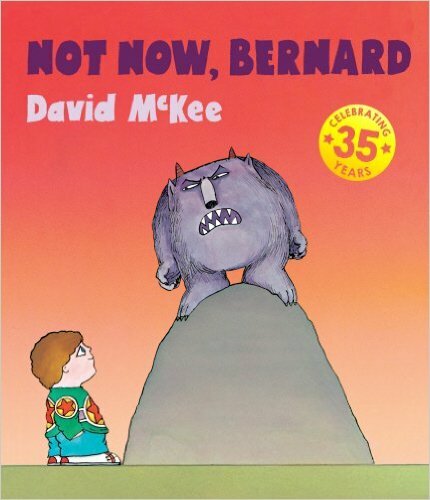 Bernard Hughes, the work’s appropriately-named composer, will be narrating the cautionary tale in which a little boy’s parents are too busy to notice surprising on-goings involving a monster. Other works in the two, repeated concerts, include famous musical descriptions of ghouls and ghosties: the Danse Macabre by French composer Saint-Saens and Night on Bare Mountain, by the Russian composer Mussorgsky. There will also be an interval opportunity for children to try out some of the musician’s instruments.